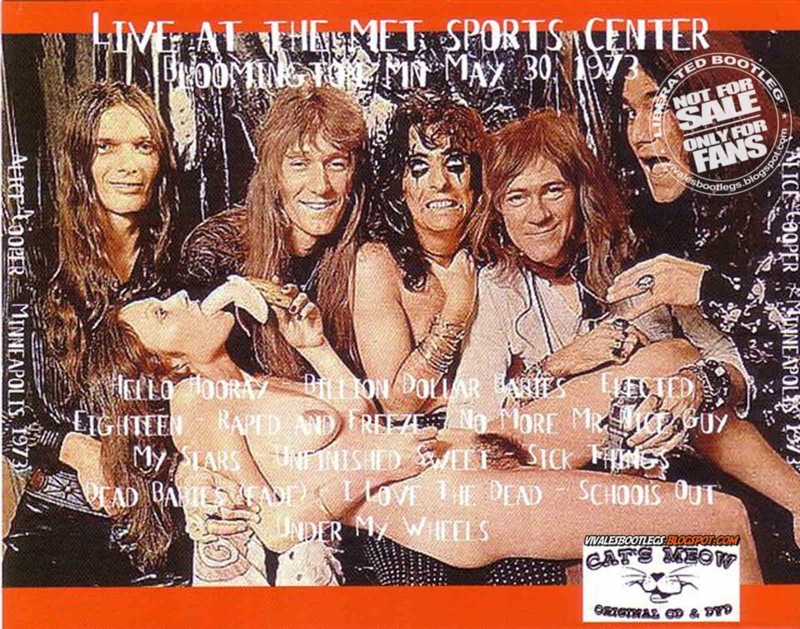 Recorded Live at Metro Sports Arena, Minneapolis, USA - May 30, 1973. Files: 13.:: Size: 365.28 MB (flac). Personnel: Alice Cooper: Vocals, Glen Buxton: Guitar, Michael Bruce: Guitar, Dennis Dunaway: Bass, Neal Smith: Drums, Mick Mashbir: Guitar, Bob Dolin: Keyboards . 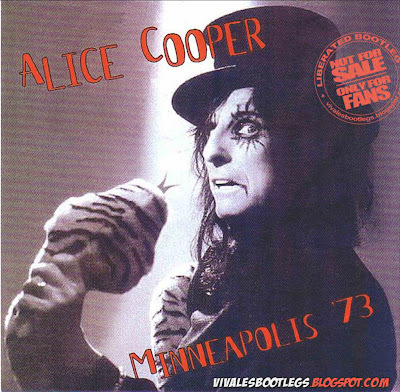 Notes: Here's Alice Cooper (when the name applied to a band rather than a singer) on their 1973 North American tour in support of the "Billion Dollar Babies" album which broke box office records and featured 64 concerts in 59 cities in 90 days. The tour allegedly grossed $20 million but once the ruinous expenses were deducted, the profit came to something like $4 million. This was due to the costs of employing about 40 people (including illusionist James Randi, who appeared in the stage show as "The Executioner") as well as transporting 12 tonnes of equipment from city to city including a gibbet, a guillotine, a surgical table, hundreds of baby dolls, dozens of mannequins and the stage set itself. Bob Dolin was drafted in to play live keyboards and Mick Mashbir was allegedly brought in to cover for Glen Buxton's occasionally erratic performances due to his health issues at the time. I recently received this from a fellow trader. None of this performance was used on the "Billion Dollar Babies" 2 CD deluxe edition as the live recordings featured there were taken from the April 28th and April 29th performances in Houston and Dallas respectively. The 2 pre-recorded interludes "Night On Bald Mountain" as well as the closing "God Bless America" have beed removed. Sound is pretty good although "Dead Babies" is incomplete. Recorded one month later, the Minneapolis show seems a bit looser than those two but contains the same high level of energy and fun throughout. Quality is very good, there is a very slight high pitched hum during “Billion Dollar Babies” and just a bit of “Elected” it then goes away, not really noticeable... < (Info taken from original info file) . Very good sound - recommended. Great concert,sounds very good,a pleasure! !